With the incredibly popular standard betalin having its blackcurrant boost a few years back this firm favourite liquid surely couldn’t get any better, or could it ? Well in our opinion yes it has. 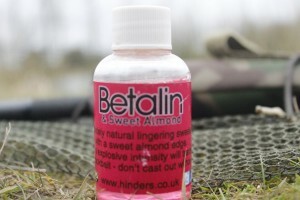 The team at hinders have now added the betalin and sweet almond to the range and we at catch towers are mightily impressed. 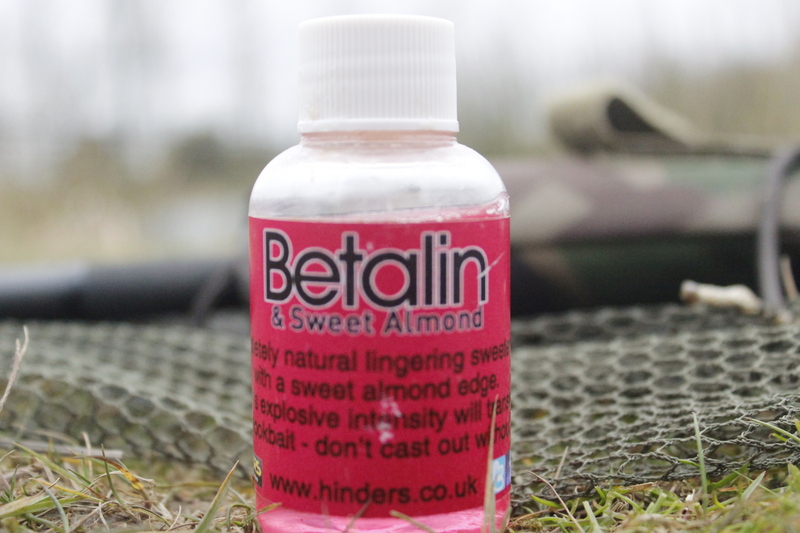 The super sweet boost ideal for plastics , zigs , pop ups or just as an extra dimension to any mix has been made ultimately attractive with the addition of this sweet additive. We have used in pop ups soaked for weeks and the pink colour has no effect of the bait colour but the flavour remains pungent for days on end. Also a quick dip of your foam for zigs is a killer option. We simply couldn’t believe the high attract smell of this great addition to the already fantastic formula or the betalin. Hinders is an established family business that has been trading for over 80 years. We have been dedicated to Fishing Bait and Tackle for the last 15 of those building a reputation for quality bait along the way.